Made in Germany. 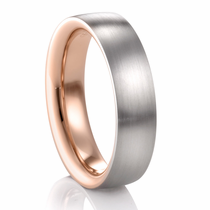 Contemporary designs, brought to life by rare & innovative alloy and combinations such as Palladium with Rose Gold. 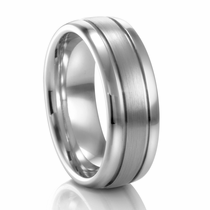 The highest quality wedding bands in the world, made with precision German craftsmanship. 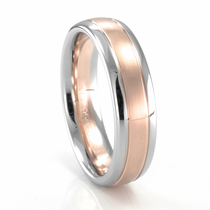 We've not seen finer wedding band quality than Coge. 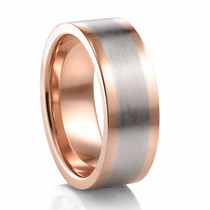 Truly a precious metal ring that will last lifetimes. Limited Sizes. Use coupon code CR50 at checkout. Award-winning and contemporary designs, brought to life by rare & innovative alloy and combination's such as Palladium with Rose Gold and precision German craftsmanship. 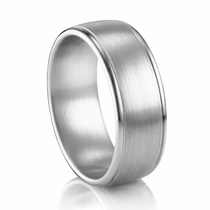 We are offering the latest and completed collection of the most precisely crafted, comfort-fit, wedding bands anywhere. Uniquely styled, using unparalleled state-of-the-art technology. Ever wanted to create your own ring? With Coge Design Group you can. 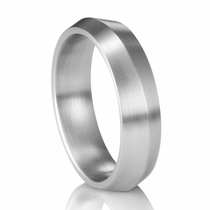 Take any of the Coge ring designs and you can customize it. You can change the width of the ring. 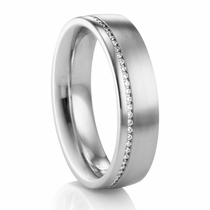 Maybe you are looking at an 8mm ring and would like a matching ladies wedding band in 5mm. Coge will do it. You can change the metal as well. 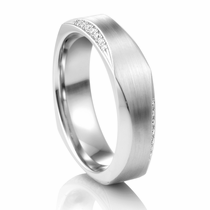 Choose from palladium, 14k gold, 18k gold - either white gold, yellow gold, or red gold. 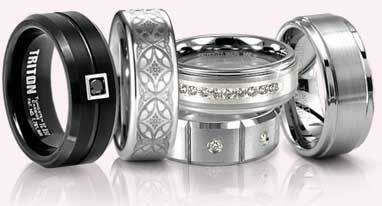 Also, any of these rings can be made in .950 platinum. 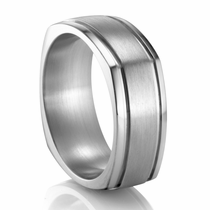 The rings that have two or more sections to them can be customized so each section is a different metal. 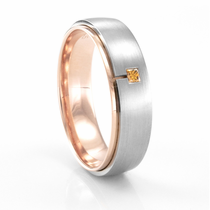 For example a ring that has a raised center could be customized so the raised center part is palladium, and each dropped side is red gold. 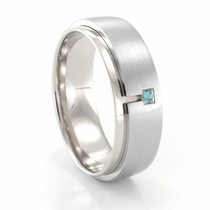 You can have fun, customize your ring to YOUR specifications. You will then have a ring you can wear for a lifetime that is truly yours. 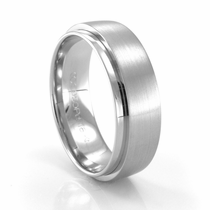 If you wish, Coge will also engrave your wedding date or any other significant message on the inside of the ring. 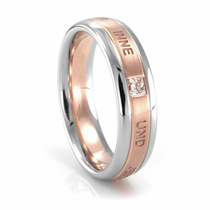 Note on customized rings: Custom rings are custom made for you, and therefore non returnable or exchangeable. 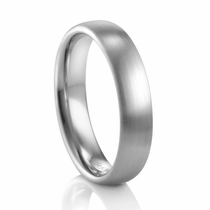 Customer rating for Coge Palladium Rings by Titanium Jewelry: 4 of 5 based on 3 customer reviews.